ATHENS, Ga — Opposition to Governor Deal’s Opportunity School District (OSD) proposal is uniting a few local Democrats and Republicans. CJ Amason, the Executive Director for the Foundation for Excellence in Public Education, has helped work in Athens with grassroots groups of bipartisan members to oppose the proposal. The Opportunity School District is the governor’s plan to help failing schools in Georgia. Deal explained his motivation for this legislation on his website. He says that establishing these OSD’s will address education and poverty issues in Georgia. “Failing schools keep the cycle of poverty spinning from one generation to the next. Education provides the only chance for breaking that cycle,” Deal says on his website. Specifically, this proposal would classify failing schools as those that earn an “F” rating on the Georgia Department of Education’s College and Career Performance Index (CCRPI) for three years in a row. The districts would then be run by OSD superintendents. These officers are appointed by the Governor and confirmed by the Senate. They report directly to the governor instead of the state education department. However, not all policy makers are on board with this proposal. Representative Spencer Frye of Georgia’s District 118, which represents Athens-Clarke County, expressed his concerns about this proposal. Fry argues this measure is an expansion of government. “It takes local tax dollars and spends it without local control, and it’s measured with a metric that has not been validated to measure school performance,” Frye said. He argued that these measures wouldn’t really solve the education issues that many of these failing schools may face. Georgia voters will have their chance to weigh in on this issue in the November election. 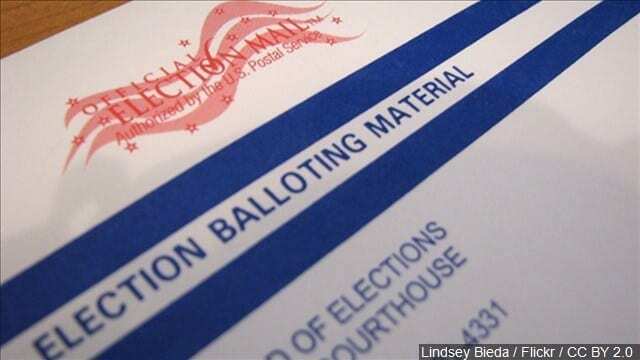 It’s a constitutional amendment that will be on the ballot for voters to vote on. A full list of the proposed constitutional amendments in Georgia can be found here.